PITCHMAP è il primo e unico plug-in al mondo che consente l’elaborazione del campo di singoli suoni all’interno di segnali contrastanti in tempo reale . Esso consente di modificare le melodie e le armonie di qualsiasi registrazione, semplicemente suonando su una tastiera MIDI o la creazione di una mappa. PITCHMAP is the world’s first and only plug-in that allows processing the pitch of individual sounds within mixed signals in real-time. It lets you change the melodies and harmonies of any recording by simply playing your own on a MIDI keyboard or creating a pitch map using our stream-lined GUI, and optionally corrects any tuning issues at the same time. As if that weren’t enough, PITCHMAP provides functions to suppress individual sounds within a mix, and can apply advanced synthesizer-like sound transformations to your audio. 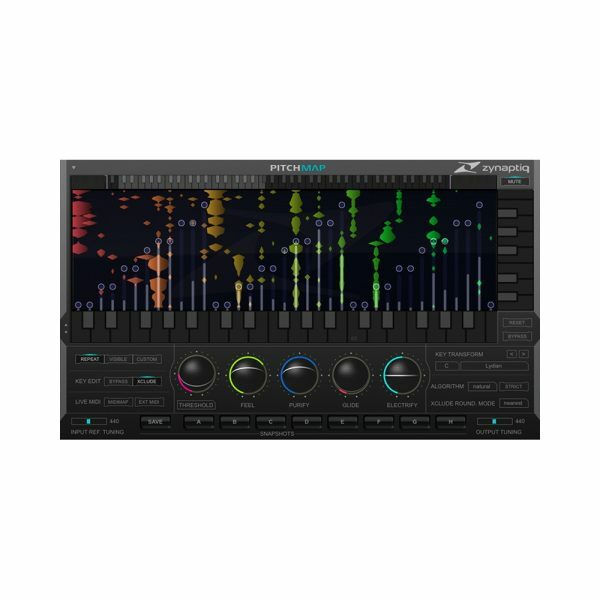 In short, it is an inspiring musical instrument, a precision corrective tool and the only processor that literally lets you shape music with your hands.